On Thursday at 9 a.m Toronto Animal Services got notified about a dead raccoon on a sidewalk via twitter. The Animal Services responded quickly on social media, but as the time went by, the animal remained on its back on the sidewalk, prompting a curious reaction from Toronto citizens. 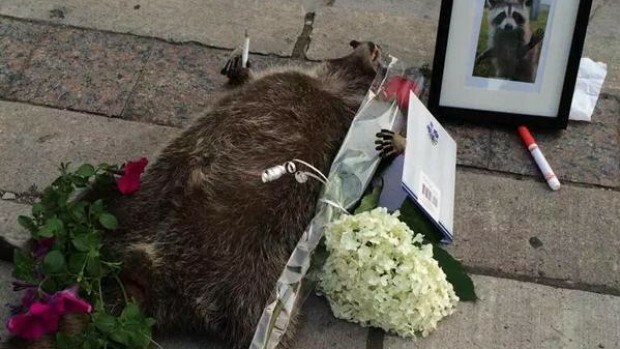 Compassionate Torontonians initiated a memorial to the deceased animal: in a sign of commemoration, somebody brought a small framed picture of the raccoon. A sympathy card, several message notes, a single rose tucked under one of the raccoon’s paws and a memorial candle were all left by Torontonians commemorating the fallen animal. Flowers and notes continued to pile up more than 12 hours after the Animal Services got notified of the deceased animal on the sidewalk. A hashtag #DeadRaccoonTO was created to mourn and remember the raccoon (named “Conrad” by the social media users) and one person even tweeted: “Sleep well, my sweet prince, people love you and remember you”. Judging by the social media treatment of the incident, It looks like Conrad’s death might have generated more social media buzz than the upcoming PanAm games. If you spotted another Conrad near your backyard or workplace, call or email SleepEasy Pest Control! 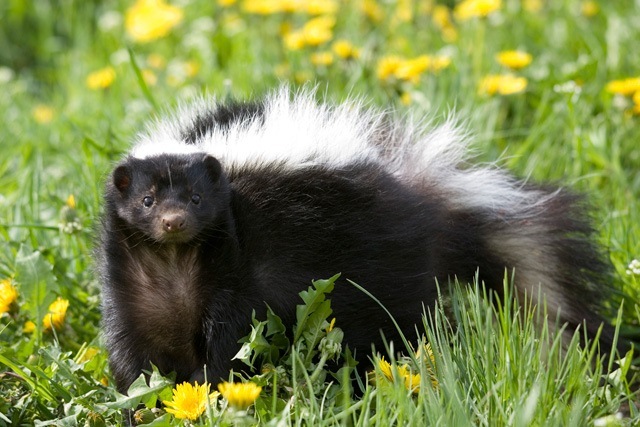 We will remove deceased animals from your home or business safely and spray area with insecticide to make sure any parasites are taken care of. We can also inspect the area to provide insight on how the animal made its way into the structure and repair the entrance hole with a Wildlife Barrier Installation. If it is a case of an animal being inside a wall we can do a cut out with minimal damage to your home. We do all removals in a safe manner and take any soiled insulation or materials away as well.